What's The Best Clumping Cat Litter in 2019? What’s The Best Clumping Cat Litter? 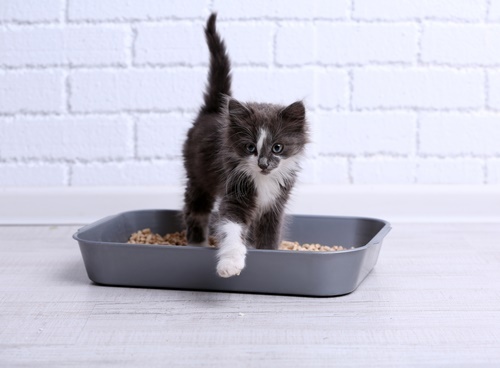 One of the best ways to get rid of cat odors in the litterbox is to use a clumping litter. This keeps the cat urine from forming into pools and handily absorbs the liquid and smells. Not all cat litter will clump, as some are very dusty and are closer to ash than clay. We put this guide together to help you find a decent clumping litter for you and your cat. Here are some of the best cat litters on the market today that provide powerful clumping action. 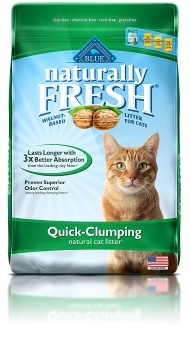 This environmentally friendly cat litter offers quick and effective clumping. It should never become pasty and tough to clean out of the litterbox like so many other cat litters. It also blocks odors very well, despite not containing any powerful chemicals. One of the best things about it, though, is that it can be flushed down the toilet or just tossed out of the house, since it is biodegradable. It’s also mostly dust free, so there should be no mess for you to clean up, and your cats should not be tracking it around the house. This is another litter that is designed for fast clumping. 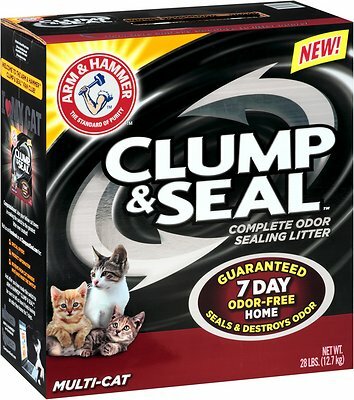 Just as soon as your cat uses the litter box, this Arm & Hammer product will form clumps and block out odors, providing you with powerful protection against foul scents and making it simple to clean out the litter box later on. 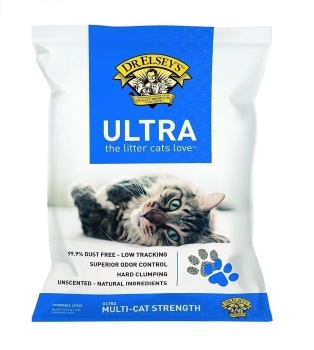 One of the reasons why this is considered just about the best cat litter you can buy is because it is completely dust free. You won’t have to be cleaning up after your cat once it uses the litter box. You also get a lot of value packed into one box, as the 40-pound product is priced very affordably. 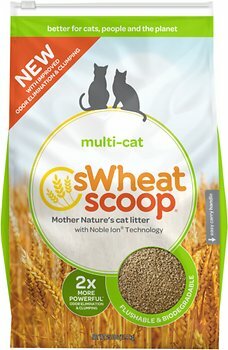 This is also one of TheSpruce.com’s top picks for cat litters and their favorite for dealing with multiple cats. If you want to find a downside to this amazing cat litter, then it would have to be the powerful smell of lemons it emits. This may be enough to keep your cat from using it and it could be too potent for your liking, but most cats do fine with it. Here is one of the most natural cat litters on the market today. It is made from wood, and cats really like it. In fact, they may love it just a bit too much, as they often play around in it before doing their business. The particles are a bit bigger than most, so your conventional litter scoop might not work, as the unused particles may not fall through the holes in the scoop like they are supposed to. 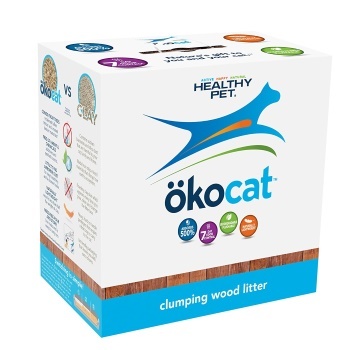 Ökocat has created one of the best cat litter products for odor control, though. It clumps very well too, so you should have little problem with cleaning up the litter or dealing with any smells. 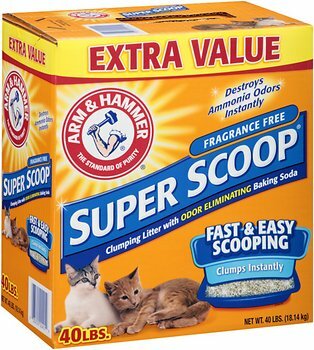 This may just be the most affordable clumping cat litter you can find that’s of decent quality. It’s also great for cats that have allergies, as it is made with a hypoallergenic formula. The granules used create a mostly dust free litter (99% dust free, to be precise), and there are no strong scents of deodorizing agents to bother you or your cat. It’s about as harmless a cat litter you can get, yet it is still effective against blocking odors. It clumps reasonably well, and you can’t beat the value no matter how hard you look. This litter is perfect if you have more than one cat in the house, since it clumps together so well. You can leave it for up to a week without having to change it out, thanks to the way the litter traps in odors. The litter can turn into muddy balls at times, depending on the kind of cat and environmental conditions you have in your home. 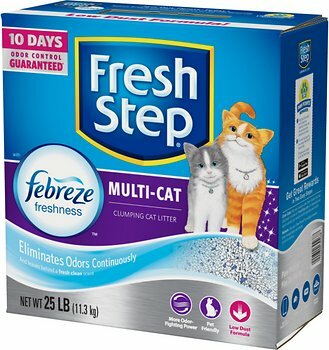 The Febreze in this cat litter does a great job of keeping the litter smelling fresh for a long time, but it can also cause an allergic reaction in some cats. You get four bags in one package with this product, and there is a good reason for that. You only need to open one at a time, and the others stay fresher for longer. One of the neatest features of this litter is that it only lets out its fragrance into the air to counteract bad smells when the litter is moved around. So, you only get that scent when your cat is using the litter. This helps keep cats interested in using the litter, since fragrance can make more sensitive cats shy way from the litterbox. 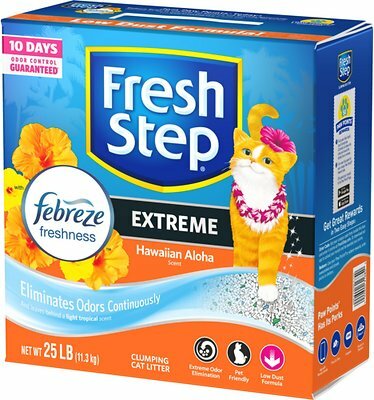 Here is another great Fresh Step product, and this one can keep odors at bay for nearly a week and a half. Most cat litter products only block out odors for a maximum of seven days, but this one beats them all out. It is also a great clumping product, and that makes for some easy cleanup. 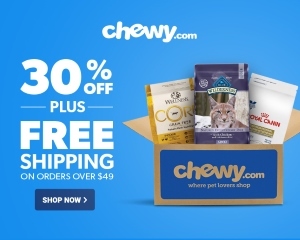 This is a great natural choice for pet owners who are concerned about their cat having an allergic reaction to the litter or eating litter and becoming ill. You might be surprised at how many cats will try to ingest their litter, and if yours has this problem, you want to make sure it will be safe for your feline. This is another litter that clumps very well and that is completely biodegradable. On the downside, you will likely be sweeping up after your cat pretty often if you use this product. For those cats that have sensitive noses, this is a great choice. It is free from fragrance, but that can also mean that the smells are not blocked as effectively as with some other cat litters. You will need to change this one out at least once a week and definitely as soon as your cat does something stinky in there. It clumps well, though, and manages not to leave much dust behind at all for you to have to clean up. The manufacturers boast that their product is 99% dust free. 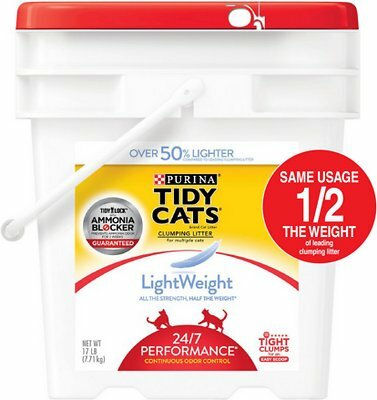 This is one of the most absorbent cat litters out there, which means that even if you buy a small bag (and this does come in several different sizes), then you still get a lot of use out of it. The price is fantastic, and you are getting real value with Blue Buffalo’s product. It’s also safe for the environment, which means it is safe for your cat as well, and it’s a superb pick for cats with health issues or allergies. 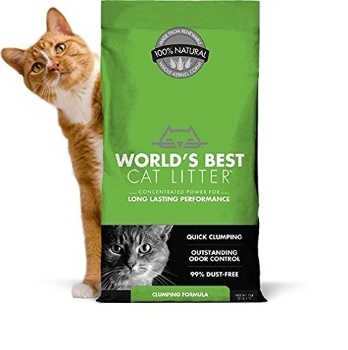 Clumping litter almost always works best– When compared to non-clumping litter, there is less mess to clean up, so the experts, such as WorldsBestCatLitter.com recommend you always go with clumping litter. Know your cat’s litter preference– Not all cats like the same kind of litter, and yours may prefer something unscented or non-clumping or just may want something with a specific texture. You’ll know that your cat doesn’t like the litter because it does its business outside the litterbox or spreads the litter around the room to show its distaste. Be careful of strong scents– You and your cat may both hate litter that has a strong secret. Yes, it may protect you from the pungent smells of used litter, but lingering and pervasive odors from the litter fragrance can be almost as bad. Your cat may refuse to use some scented litter that is too much for its sensitive nose to take. Consider natural components– Some litter is made from natural ingredients, and that can be easy on your cat’s olfactory nerves and safer for your cat to use. This is ideal for cats with allergies or other sensitivities.